Saving For Your Future » Investing » Which is the best performing stocks and shares ISA? If you know you want to put some of your cash into a Stocks & Shares ISA, you still might be unsure which provider to choose. It can be a bit of a minefield as there’s a lot of choice out there. This article compares the performance of Stocks & Shares ISAs from a handful of popular robo-advisers to help you make the right decision, looking especially at 2018 returns in what was a very tough year for investors. First a quick reminder of what a Stocks & Shares ISA does. It’s a type of savings vehicle which allows you to invest in funds or stocks while protecting any investment returns you make within a tax wrapper meaning you don’t pay capital gains tax or income tax on any profits earned. The ISA allowance for the current and upcoming tax year (starting on 6 April) is £20,000. There are different types depending on how involved you want to be in investment selection, and these will each come with different charges. You can choose a true DIY ISA, a part-managed ISA or a fully-managed one where the investment management is done for you, but you will pay a higher management fee for this. This article focuses on fully-managed ISAs so that we can compare performance. For more information on the different types of ISA available, read our article "Where should you invest you ISA allowance?" You can transfer money held in other types of ISA (a Cash ISA, for example) into a Stocks & Shares ISA and it won’t count towards your annual ISA allowance if you paid in to the existing ISA during a previous tax year. You can find more details on this in our article "ISA transfers explained". For a more general discussion on whether a Stocks & Shares ISA is worth holding, we summarise in our article "Are stocks and Shares ISA's worth it?" 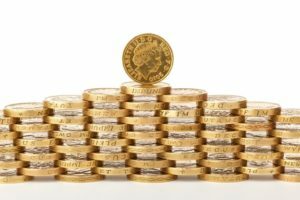 Which is the best performing Stocks & Shares ISA? For the purpose of this article, we are looking at fully-managed ISAs from six of the most popular UK robo-advisers. We will compare performance of the model portfolios on offer to try to find the best performing Stocks & Shares ISAs on the market currently (but note past performance is not a guide to future performance). Nutmeg offers a range of 10 risk-graded model portfolios to choose from, depending on how much risk you are willing to take. It establishes your risk tolerance by asking you a series of questions and then recommends a portfolio it thinks will suit you, from ‘cautious’ to ‘aggressive’. The portfolios contain low-cost exchange-traded funds (ETFs) diversified across assets, countries and sectors, and Nutmeg regularly reviews asset allocation on its fully managed products to keep them in line with your goals and risk profile. Let’s say you went for portfolio number five, in the middle of the pack, offering ‘moderate growth without extreme volatility’. In 2018, it would have lost you 5.9%, more than the 5.1% loss from its competitors. Nutmeg’s investment performance figures are based on an account size of £25,000, and are calculated after fees, using data from actual trades rather than averages. The weighted average management fee paid by Nutmeg customers is 0.64%-0.82% per year, depending on the date of investment. Nutmeg calculates the performance of its competitors using averages, after fees, from a range of discretionary investment managers including Coutts, UBS and Rathbones (rather than the other robo-advisers we refer to in this article). Over a longer timescale, the portfolio would have delivered 15.6% over five years and 33.6% over all time (from 2012 when the service launched), underperforming its competitors which returned 19.5% over five years and 33.8% since 2012. On an annualised basis, it is on a par with rivals, delivering 4.6% a year since launch. Looking across Nutmeg’s whole range, comparative performance is better at the higher end, so it could be a good option for those looking to invest in higher risk portfolios. Its riskiest offering, portfolio number ten, fell 9.9% in 2018 against a 6.5% fall from the competition, but outperformed since 2012, up 69.2% versus 57.8%, or 8.5% versus 7.4% annualised. In terms of fees, you pay between 0.35% and 0.75% for the managed portfolios, depending on the amount you have to invest. For our detailed independent review of Nutmeg’s overall offering, including investment performance, read our "Nutmeg review". We think Moneyfarm is the closest comparable alternative to Nutmeg on the market. The digital wealth manager uses a questionnaire to assess your investing experience, risk tolerance and investment goals, and then recommends a portfolio tailored to you, which is classed as regulated financial advice (Nutmeg recently began offering financial advice as a standalone service for which you pay £350). Moneyfarm constructs a portfolio of ETFs based on its own investment research, and uses volatility targeting when doing your asset allocation, It rebalances portfolios about every three months. As it is giving advice, every year Moneyfarm has to review your portfolio to make sure it is still suitable. If you had invested £25,000 in a portfolio with Risk Level 4 (out of 6), you would have made a return of 25.3% since January 2016, which is as far back as Moneyfarm’s UK track record goes. In 2018, the same portfolio would have lost 4.35%, so Moneyfarm’s performance looks on the surface to have beaten Nutmeg last year. However, it is important to note that this does not include the impact of fees which would drag on performance. Moneyfarm charges a management fee of between 0.4% and 0.7% depending on the size of your investment, and it says a £25,000 pot would set you back about £140-£170 a year in fees. Read our detailed independent Moneyfarm Review. MoneytotheMasses readers can get an exclusive half price on management fees on a Moneyfarm ISA using this link. With no minimum investment and a low fee strategy, Weathsimple has proved popular with investors since its UK launch. You are given a similar questionnaire to that of its competitors but with a slightly more streamlined approach asking about your income, outgoings and investment goals. Then you get a recommended portfolio made up of ETFs and mutual funds. Its investment strategy is to focus on “fees, diversification and emotions” and let the stock market take care of returns over the long term. But has this approach paid off? Wealthsimple’s Balanced portfolio (risk level 4, for investors with low to medium risk tolerance) has returned 1.79% net of fees since it was launched in July 2017 up to December 2018. Looking over one year, Wealthsimple’s 2018 performance was -0.81% for this portfolio. It’s Growth portfolio (risk level 7) has returned 3.62% since inception, net of fees, and lost 0.5% in 2018. Wealthsimple charges a management fee of 0.7%, or 0.5% on pots of more than £100,000. For a detailed independent analysis of Wealthsimple, read our "Wealthsimple Review". 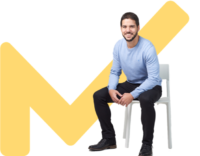 Evestor's approach is similar to the other robo-advisers in terms of its risk questionnaire, but it offers regulated (restricted) financial advice by recommending a portfolio to suit you out of the three it offers, or you can just select your own. One point of difference is that it has a lower minimum investment of just £1 (as does Wealthify), making it appealing to novice investors. It invests in passive index funds from major fund providers such as BlackRock, Vanguard and Fidelity, tracking major indices including the FTSE All Share and the S&P 500. It rebalances portfolios every six months to keep the asset allocation on target. Looking at Evestor vs Nutmeg, for example, this limited choice of portfolios stands out as Evestor’s three compares to a range of 10 from Nutmeg. Evestor’s performance on its balanced, medium risk portfolio 2 was -4.63% in 2018. Given it only launched in 2015, it has a limited track record, so it has produced a simulated past performance to show how it thinks it would have performed over longer time periods. Over five years to 2018, it estimates the same portfolio would have returned 57% against 52% from the benchmark. Over the 10 years to 2018, it would have delivered 88% versus the benchmark return of 73%. Evestor charges a management fee of between 0.5% and 0.52% depending on which risk level portfolio you choose. For a detailed independent analysis of Evestor and to find out whether it’s the best robo-adviser for you, read our "Evestor review". Wealthify operates in a similar way to the other robo's, using an automated process to construct portfolios that match clients’ risk tolerance, and it also uses cheap mutual funds and ETFs to keep costs down. Its investment team continuously monitors and rebalances client portfolios to keep them in line with risk tolerance. It had quite a cautious approach in the past, with a lower weighting to equities than you might expect for its medium risk offering, but more recently it has brought its asset allocation more closely into line with other robo-advisers. It has five Stocks & Shares ISA portfolios – its 'Confident' portfolio sits in the middle of this risk-graded range. Wealthify’s 2018 performance on this portfolio was a loss of 4.43% after fees. Its highest risk Adventurous portfolio lost 7.62% in 2018, in comparison. Wealthify charges a management fee of 0.4%-0.7% depending on the size of your pot. It also has a loyalty scheme in which you can earn discounted fees and you can read more in our article "Wealthify review - Is it the right investment choice for you?". Vanguard is one of the largest players in the fund space, offering both active and passive funds, although it made its name offering low-cost index tracker funds. Of interest to us here are its LifeStrategy funds, available through its Vanguard Investor platform. LifeStrategy funds are ready-made portfolios of Vanguard index tracker funds, and they tend to have a US equity focus. They come in five different mixes of stocks and bonds, labelled according to their equity allocations. Let’s look at Vanguard annual returns. The LifeStrategy 60% Equity fund sits in the middle of the range, aiming for long-term returns with controlled risk. In 2018 it lost 3.1%, while the slightly lower risk LifeStrategy 40% Equity fund lost 2.25%. However, both portfolios are in the top quartile over one, three and five years compared to peers in the Investment Association Mixed Investment 40-85% Shares sector, according to FE data, so Vanguard fund performance tends to be strong in the medium to long term. In terms of fees, the total charge including platform fee on a £20,000 ISA investment would be 0.37% if you bought LifeStrategy through Vanguard’s own platform, Vanguard Investor. It is worth mentioning that if you have more than £60,000 to invest, the cheapest way to buy Vanguard funds is via the Interactive Investor platform, not directly through Vanguard Investor. For more on this tip and for detailed information about Vanguard and its product range and pricing read our full independent "Vanguard Investor UK review". You can see that Wealthsimple came out on top with its Balanced portfolio losing 0.81%, while Nutmeg trailed with a 5.9% fall. Vanguard was the second best performer and also the cheapest in terms of fees, so on balance it looks like a good all-rounder. Bear in mind that investing comes with risk, so there is no guarantee that the top performers in 2018 will remain so in years to come. Plus, the risk level of portfolio you choose will depend on how much focus there is on protecting your capital from losses rather than making as much as possible in rising markets. While you may be looking for the best performing Stocks & Shares ISA, there are other factors that you should consider when selecting a product. This might include factors such as price, asset mix, minimum investment, quality of customer service, investment and product choice, and the options to view and manage your portfolio – whether through an app or a user-friendly website.